Now that there’s a fee to check bags on most airlines, it seems fair to hold the airlines collecting those fees accountable for delivering those bags to their destination in a timely manner. Alaska Airlines, for one, agrees, and has for some time offered its customers a choice of a $25 travel discount or 2,500 frequent-flyer miles if their checked bags do not arrive at the baggage-claim area within 20 minutes of the flight’s arrival. Today, Delta went public with a similar guarantee for travelers checking bags on its flights: 2,500 frequent-flyer miles if checked bags are not on the carousel in 20 minutes or less, for any domestic flight. The guarantee is only in effect between February 19 and March 31, suggesting that this is a trial that may be converted to a permanent policy at a later date. When travelers pay $25 or more to check a bag, they have a right to expect that their trips won’t be unduly delayed by an excessive wait at the baggage carousel. Compensation, whether miles or money, shows that airlines are committed to honoring that expectation. As they should. 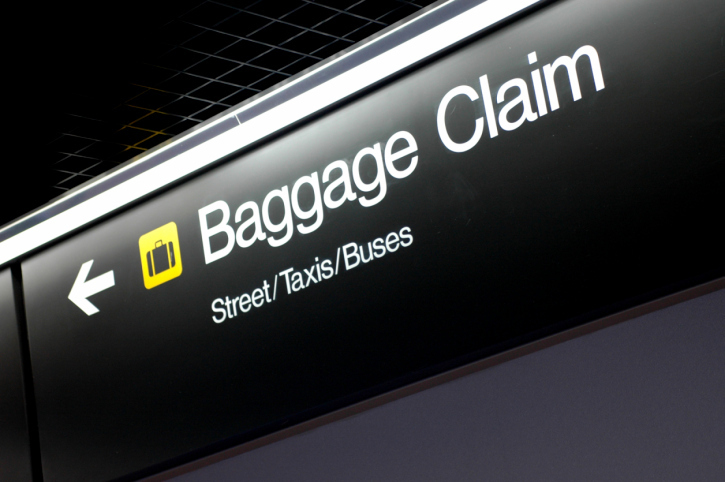 What’s fair compensation for delayed bags?